Western Tarp is excited to announce that some of our most popular items are now available for purchase online. Click below to be redirected to our online store powered by Shopify. For now, only some of our most popular items are available for purchase online. Check back frequently for updates as we continue to add items to our store. 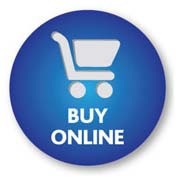 If you don't see something available online - reach out to us. Call us, email us, or visit us today with your unique requirement. Our sales staff will be pleased to assist you.